Family-friendly places like Disney California Adventure Park and Downtown Disney will thrill your kids. Relax by the water at Newport Beach and Crystal Cove. Have a day of magic on the 24th (Fri) at Disneyland Park. Pack the 28th (Tue) with family-friendly diversions at Knott's Berry Farm. The adventure continues: kick back and relax at Huntington Dog Beach and experience the excitement of Star Wars Launch Bay. To see photos, other places to visit, and tourist information, go to the Anaheim trip itinerary maker website . Salt Lake City to Anaheim is an approximately 4-hour combination of flight and bus. You can also do a combination of flight and train; or drive. Traveling from Salt Lake City to Anaheim, you'll gain 1 hour due to the time zone difference. Traveling from Salt Lake City in May, things will get somewhat warmer in Anaheim: highs are around 78°F and lows about 60°F. Wrap up your sightseeing on the 28th (Tue) early enough to travel to Disney. Disney is a town in Mayes County, Oklahoma, United States. Kick off your visit on the 29th (Wed): take in nature's colorful creations at Lendonwood Gardens and then immerse yourself in nature at Disney/Little Blue Area at Grand Lake State Park. To find reviews, other places to visit, photos, and more tourist information, read Disney tour itinerary planner . The Route module can help you plan travel from Anaheim to Disney. 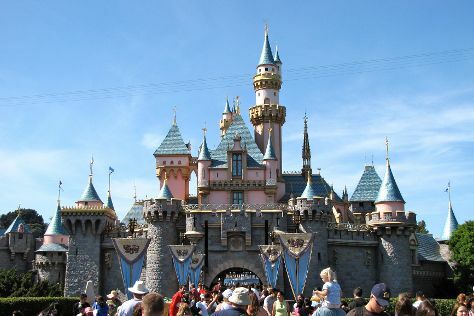 You'll lose 2 hours traveling from Anaheim to Disney due to the time zone difference. In May in Disney, expect temperatures between 78°F during the day and 57°F at night. Wrap up your sightseeing on the 29th (Wed) early enough to travel back home.